It skitters across the ground, floats in the air, is cold to the touch, and leaves scorch marks. It's been scientifically explained, or hey, it might be a total hallucination. It's ball lightning! 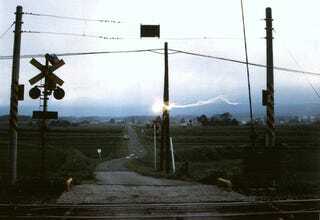 Ball lightning is the name given to a group of phenomena that have not been completely explained, or even agreed upon. Of the two words in its name, only the first is shared by all witnesses. According to most eyewitnesses, it glows and is shaped like a ball. Everything else varies. Most reports say the balls are orange to beach ball size, but some say they've seen ball lightning the size of a bus. The ball can float, roll and bounce around solid objects, or do both. They're seen indoors or out. Ball lightning has reportedly been cold to the touch, left burn marks in rock, and electrocuted people. It fades away, or explodes and sputters out. Anything goes. Since the exact properties of ball lightning are not agreed upon, a single explanation for the phenomena can't be reached. Those who believe that ball lightning is cool, consider it to be corona discharge – the same thing that is responsible for Saint Elmo's Fire, which produces light but not much heat. Those who believe it burns what it touches believe that it's a bunch of burning dust kicked up and ignited by lightning strikes. It could also be a plasma ball. Many explanations are out there. One theory nosed its way ahead of the others in 2007, when Antonio Pavão and Gerson Paiva of Brazil's Federal University of Pernambuco reported making small glowing balls that bounced around the room and scorched their surroundings. These balls made of silicon particles which were shocked by scientists until they produce a burning vapor. The balls only lasted a few seconds in the lab before dissipating, a shorter time than some witnesses of ball lightning say the phenomenon endures in a natural environment, but otherwise the spitting image of the glowing balls that have baffled people for centuries. But three years after Pavão and Paiva lit up silicon, Alexander Kendl and Joseph Peer from the University of Innsbruck in Austria put forward an alternate theory: ball lightning is just a hallucination brought on by a rapidly changing magnetic field. This is not as unbelievable as it sounds. Subjecting someone's brain to rapidly changing magnetic field can cause electrical activity, which in turn cause the neurons to cook up something good an crazy for the brain to see, hear, or think about. Psychiatrists sometimes use this technique to cause their patients to hallucinate (how forcing someone to hallucinate is therapeutic is something only your psychiatrist can explain). Seeing glowing lights is a common hallucination, so it makes sense that a lot of people would see such a thing if the very atmosphere around them is messing with their head. There are problems with the idea. To hallucinate strongly, people would have to be closer to an area of intensely shifting magnetic fields than many observers of ball lightning have been. There have been plenty of accounts of ball lightning killing people and doing property damage. And of course there are those balls skittering around a lab. Some statistics say that as many as one in thirty people have seen ball lightning, which means that there must be quite a few io9ers who have witnessed it. Have you seen it? How long did it last? How did it behave? Did you see any other strange things at the same time?